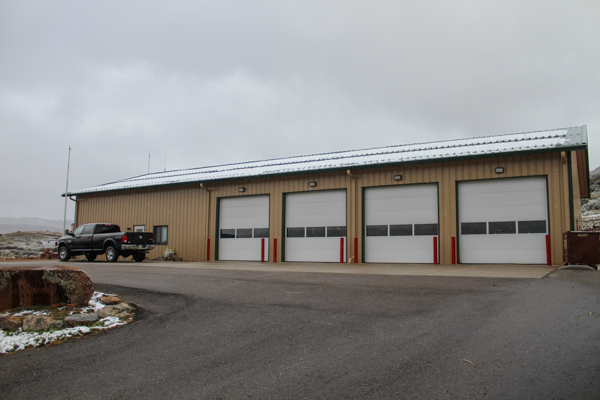 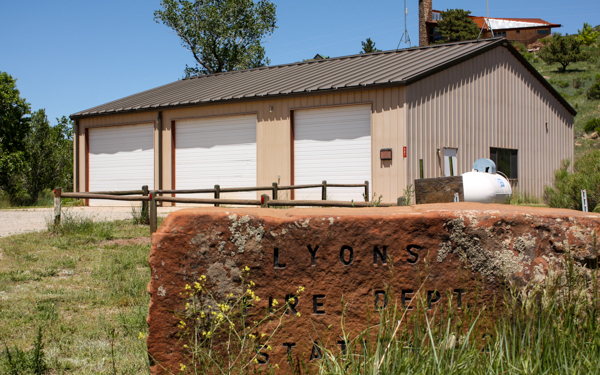 Fire Station 2 is located at 1250 County Road 37E and built in 2015. 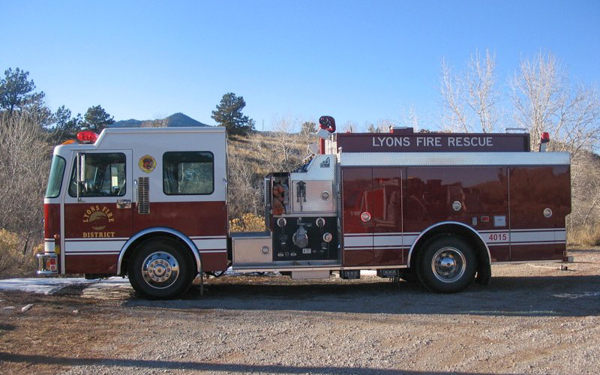 (Engine 15) 1997 Smeal (C-802-CC / 791310) 750 gallon water tank / 1250 gpm pump with foam, twin to Engine 4012. 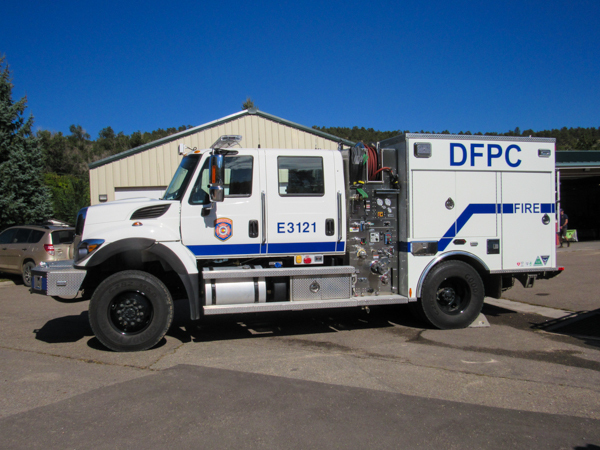 62017 International 7400 4×4 / KME (610157) Type 3 600 gallon water tank / 500 gpm pump (Darley) with 20 gallons of foam (FoamPro). 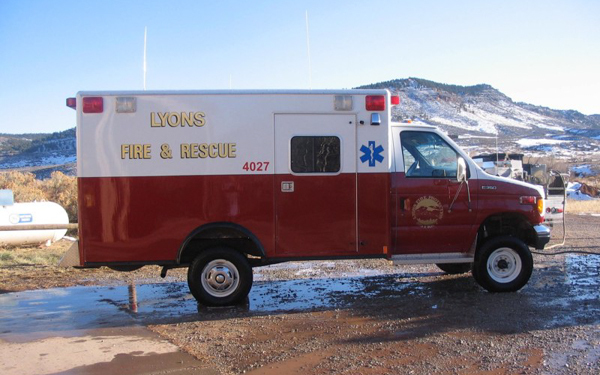 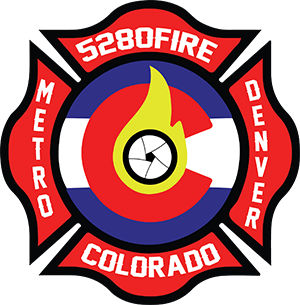 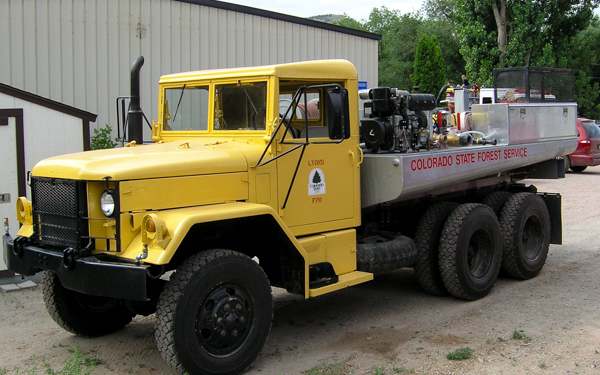 (DFPC – Colorado Division of Fire Prevention and Control / Colorado Department of Public Safety). 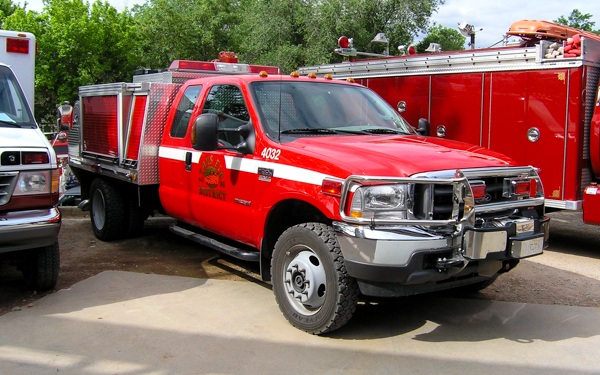 1992 Ford F-350 4×4 XLT Super Duty / Wheeled Coach, twin to Rescue 4020. 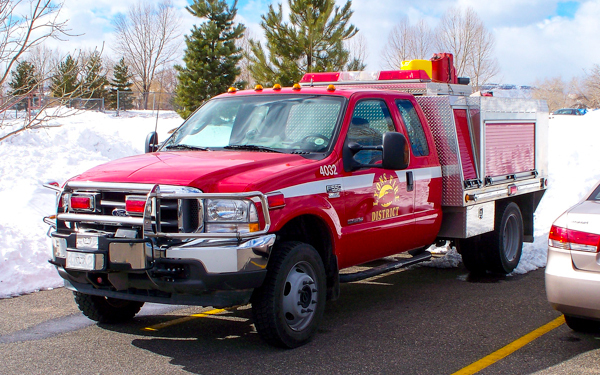 Ford F-550 4×4 435 gallon water tank with foam. 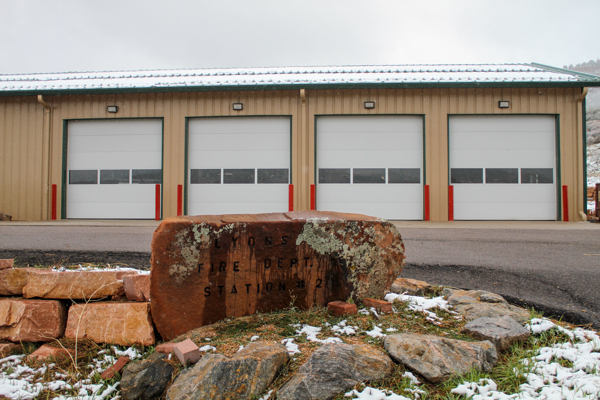 Former Fire Station 2 was located at 587 Stagecoach Trail and built in 1990. 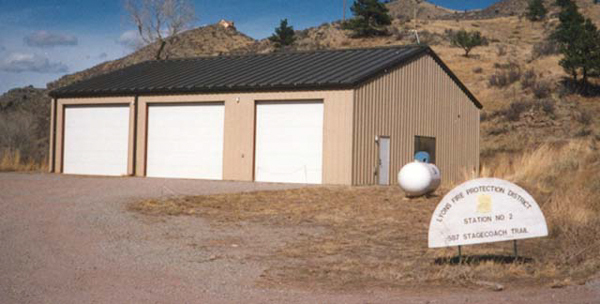 This station was lost in the 2013 floods, and replaced at a new location in 2015. 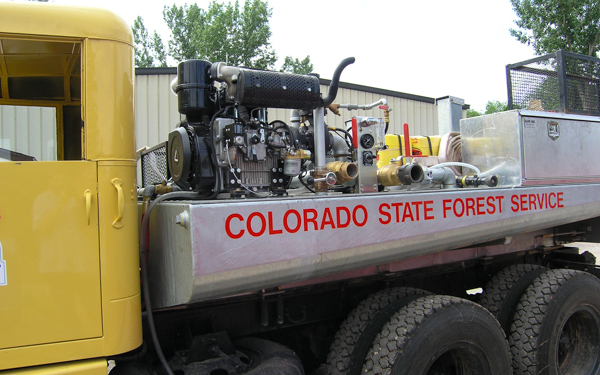 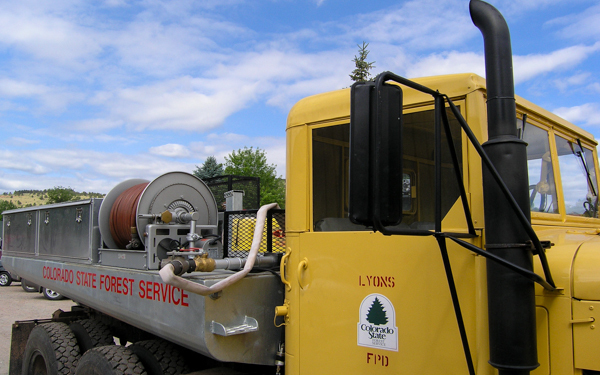 AM General 6×6 1000 gallon water tank / 1250 gpm pump with foam (Colorado State Forest Service), also ran as Wildland 4030 (DFPC – Colorado Division of Fire Prevention and Control / Colorado Department of Public Safety).